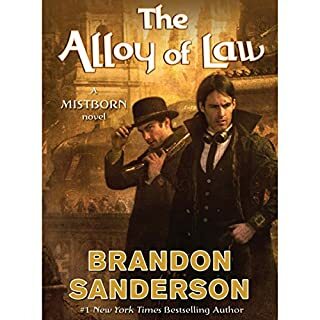 I finished the Alloy of Law by Brandon Sanderson yesterday. Obviously it's set in the Mistborn universe, but it was kinda like a combination of Sherlock Holmes and Gunslinger. It's an exceptional book book and much better than the last two Mistborn books he released (I haven't decided if it's better than the Final Empire yet). I really hope he does a few follow-up books and Soon (tm). The story takes a little time to get going, but once it ramps up it stays up through the end. 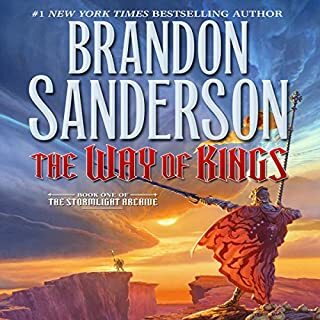 Sanderson's writing has improved tremendously from the Mistborn Trilogy and I'm really happy that I took the time to listen to this book. I really enjoyed it and I look forward to following this author long after Tarmon Gai'don.